First, you need to be sure that your data is not only stored securely but is also sent back and forth to your backup solution properly. This is especially true if your industry is subject to any government mandates concerning how data must be handled, as the penalties for non-compliance can be just as severe as the influence of data loss would be. Whether you manage your own solution or leverage a vendor to keep your data securely backed-up, the same severity applies. The size of your business has no influence, either, despite many smaller organizations having a difficult time keeping up with these regulations. These businesses are especially benefited by the availability of outsourced IT resources, as these providers are better prepared to see to these compliances and minimize any risk. It is also important to recognize your needs, including the costs that fulfilling those needs may incur (like how much a cloud provider charges for you to download your backed-up data). Before you select a particular cloud provider, make sure that you have considered all of these charges. Furthermore, a backup solution that can only keep you safe from major disasters is one that overlooks a huge percentage of the actual issues you are apt to face. Sure, ransomware attacks and fires happen, but so do hard drive failures and other causes of small-scale data loss. Every strategy you enact needs to be documented properly, with useful information shared clearly, succinctly, and actionably. If your company is ever in the position that it needs to lean on a data backup, they’re going to need to lean on a leader to ensure that this process goes without a hitch. 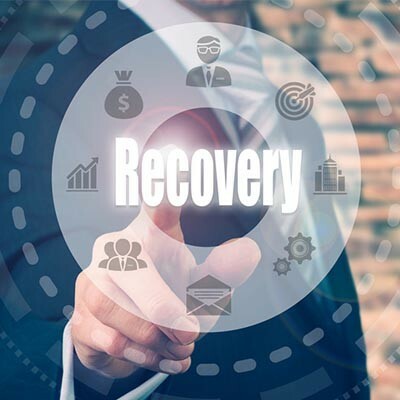 In many cases, this role would fall on your shoulders - but what if something goes down while you (or whoever is in charge of managing the recovery process) aren’t there? This is why you need to keep a comprehensive, up-to-date plan prepared for just this occasion, a hard copy ready to be referenced on-site as well as one digitally stored in your backup files. In addition to this preparation, you also need to make sure that the backups you’ve prepared actually work in the first place. A backup will do you no good if you can’t recover the data from it, after all. Make sure that, just as you would a fire drill, you practice utilizing the backup on occasion. We have the expertise and capability to put together just this kind of strategy for you and your employees to leverage. That way, you can be confident that your disaster recovery won’t just be a new disaster to deal with. Reach out to us at 253.777.0763 to learn more today.